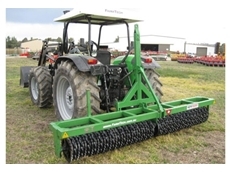 Developing smoother ground surface to plant, harvest and grow crops for increased efficiency. Goldney Welding specialises in general engineering, manufacturing and all general welding work. 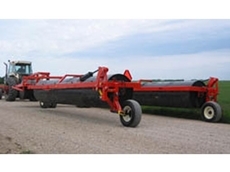 Goldney Welding manufactures chaser bins and land rollers as well as other steel products. Providing international technology to Australian farmers. 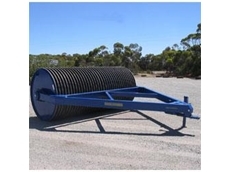 11/07/08 - Goldney Welding offers standard land rollers which are available in 12 and 14.4 metres models. 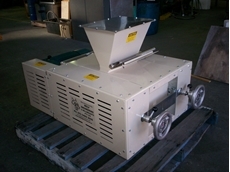 Different roller diameters and machine widths are also available. 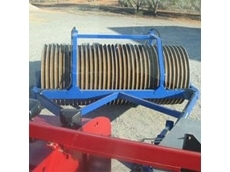 10/07/08 - Goldney Welding specialises in manufacturing chaser bins, land rollers and comb trailers. Goldney Welding handles all types of general welding work and provides mobile workshop service for onsite repairs and maintenance works. 07/07/08 - Catford Engineering offers a variety of hydraulic selector valves used in hydraulic and pipe fitting applications. 04/07/08 - Catford Engineering provides high quality hydraulic pipe clamps with two holes and measures 7/8 inch, highly recommended for economic and safe mounting of hydraulic hose and hydraulic tube. 03/07/08 - Catford Engineering provides a range of quality hydraulic pipe clamps that differ with specific measurements.